Castel Malawi Limited, formerly Carlsberg Malawi Limited, risks being fined for discharging liquid waste into the environment and part of Mudi River. Blantyre City Council (BCC) officials yesterday said theyare yet to establish the impact of the waste on people, but said the dischargeof the liquid waste is posing a health threat as people use the river fornumerous purposes, including drinking, washing and watering vegetablesdownstream. Yesterday, BCC officials took journalists on a tour of the site where a stench from the waste has engulfed the atmosphere. But the team was denied access into Castel premises to establish where exactly the liquid waste was being disposed from. In an interview later, BCC chemist Flavious Kamwani said the council collected samples from the waste on Saturday and, based on the outcome, they will determine the fine to charge Castel. He said the council approached officials from Castel after noticing the liquid waste on Friday. He said Castel undertook to take care of it. He said the law compels industries to advise the council before disposing waste to find the way forward. He said the council has a holding facility that assists in such instances. Castel senior brands manager (non-alcoholic beverages) Titha Mbilizi yesterday declined to comment, saying the company is organising a media tour of the site today on the issue. In August this year, the Competition and Fair Trading Commission (CFTC) also fined Castel K35.4 million for supplying the market with “products likely to cause harm to consumers” and K500 000 for supplying products containing foreign objects. In November 2014, the Department of Environmental Affairs cracked its whip on Sun Seed Oil Company Limited in Lilongwe and its sister firm, Central Poultry Farm, for endangering communities. 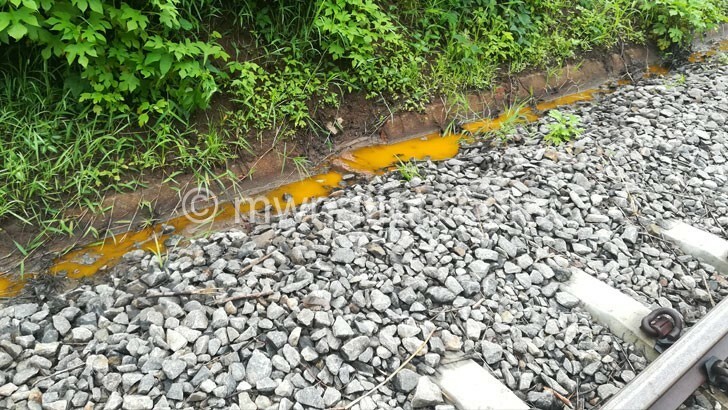 Both companies were ordered to halt operations and fined K1 million each following revelations that the cooking oil company was discharging and emitting pollutants into the environment. In August this year, it also transpired that Central Poultry Limited (Dudu Farm) in Area 36 in Lilongwe was discharging waste from at least 10 000 chickens that were being slaughtered and processed every day.